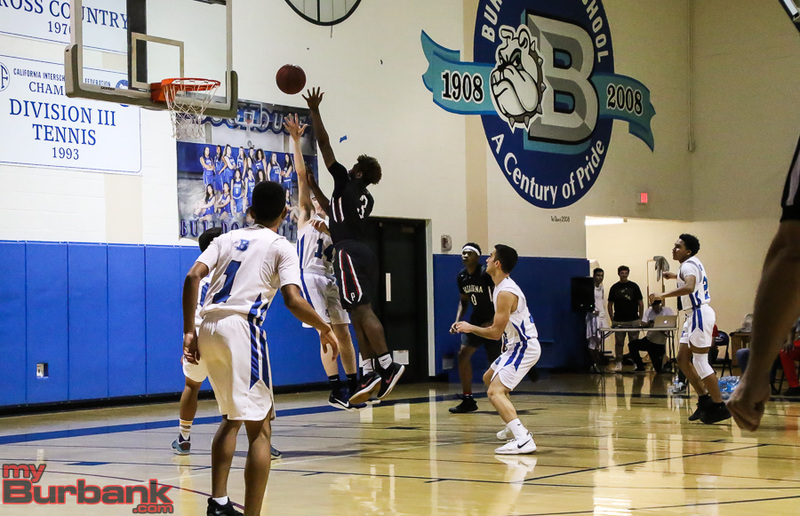 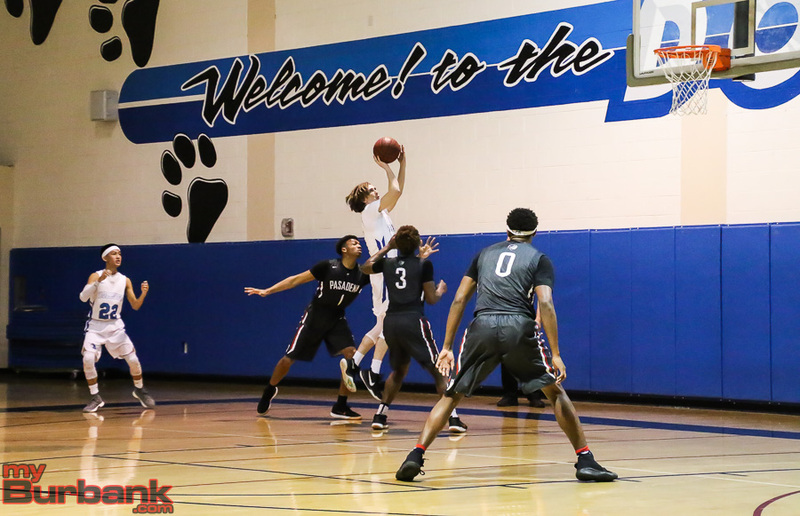 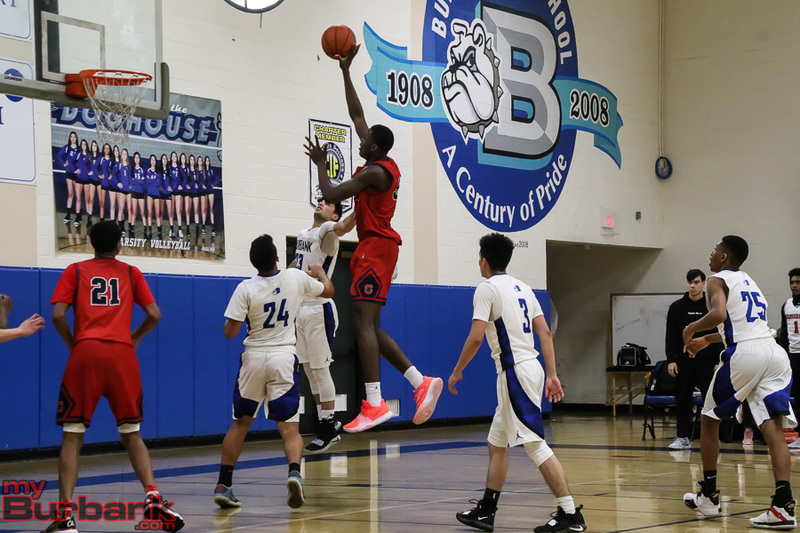 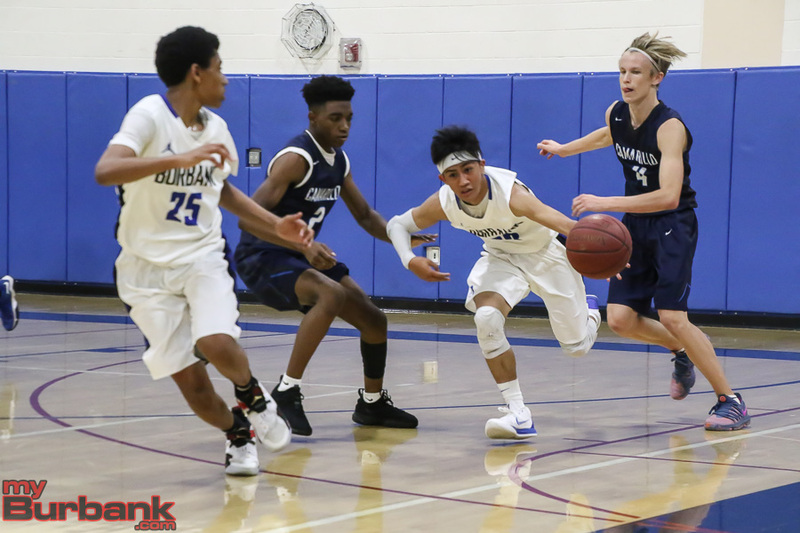 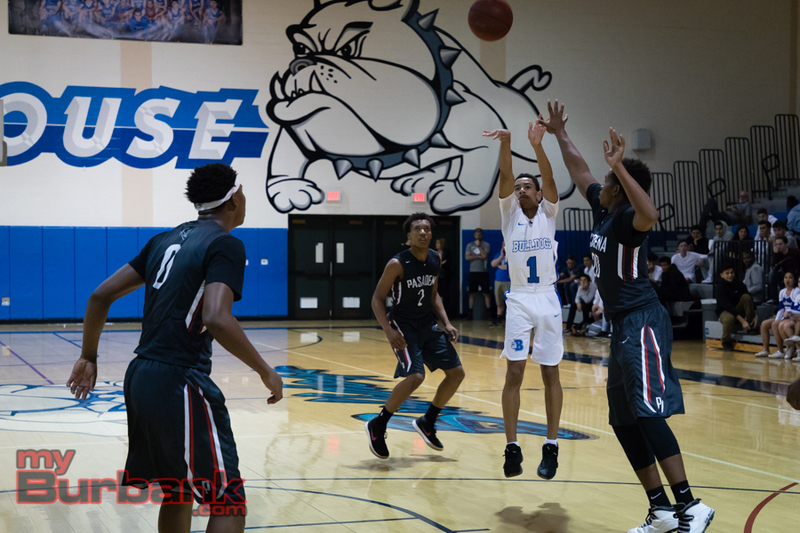 A new era in Burbank High basketball history began Monday night when the Bulldogs opened the season against visiting Eagle Rock High in a nonleague contest. 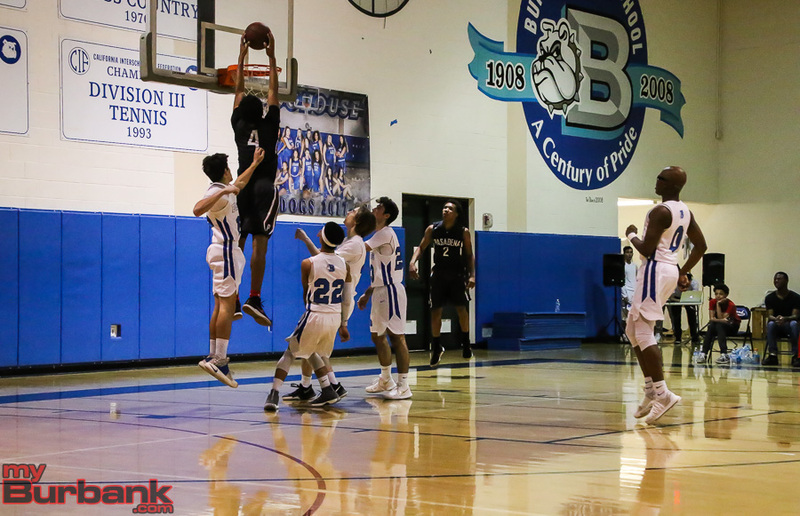 Ernest Baskerville has taken over as the head coach, but the Bulldogs showed they haven’t missed a beat, winning 86-64. 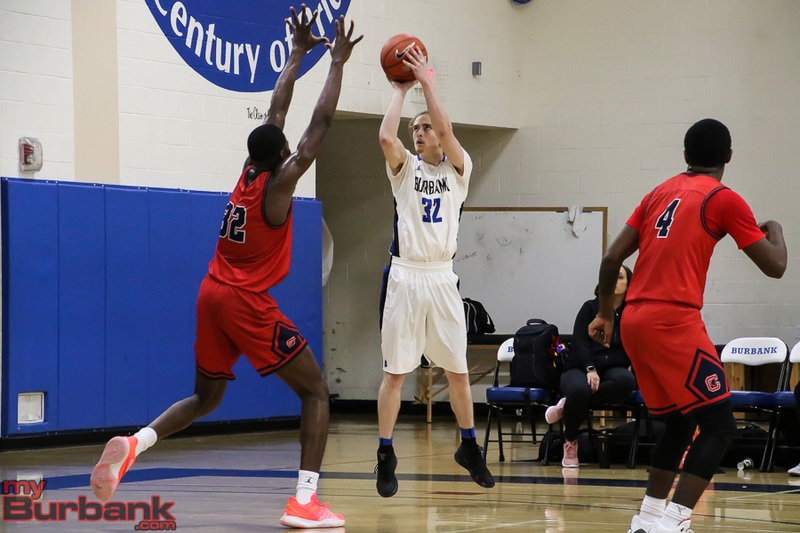 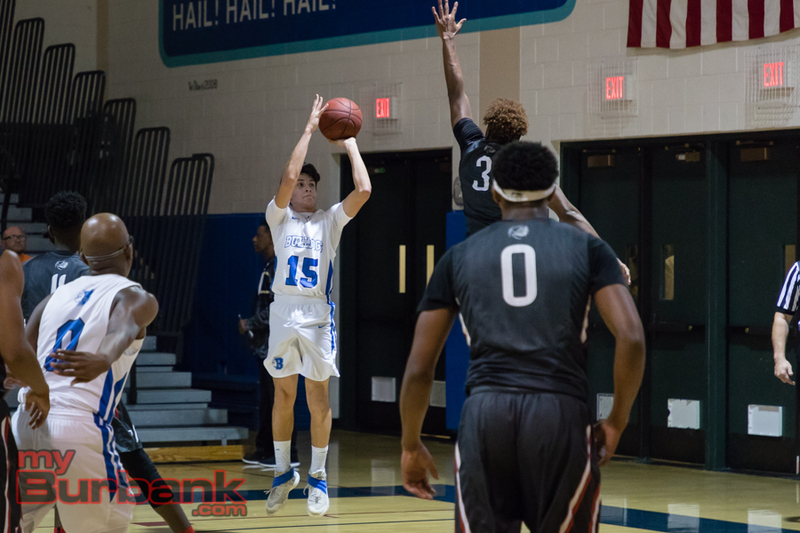 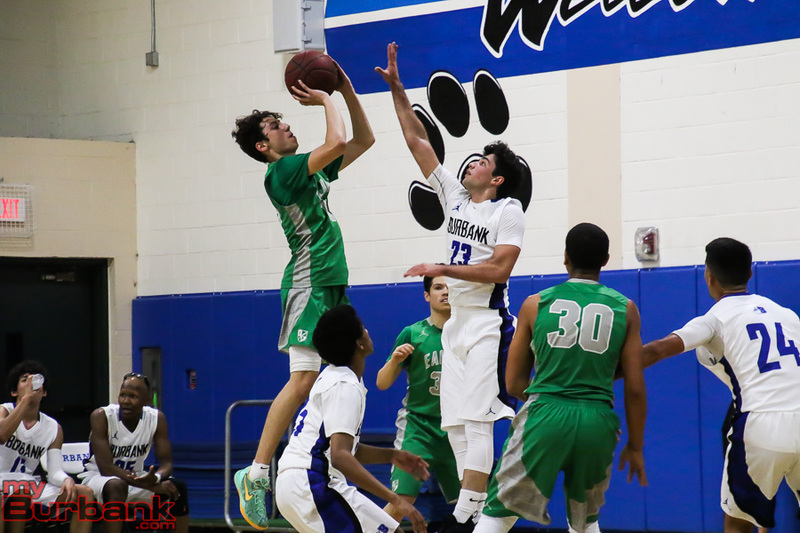 Burbank hit 14 of 30 attempts from three-point range, five of which came from senior Miles D’Agostin, who finished with a team-high 25 points. 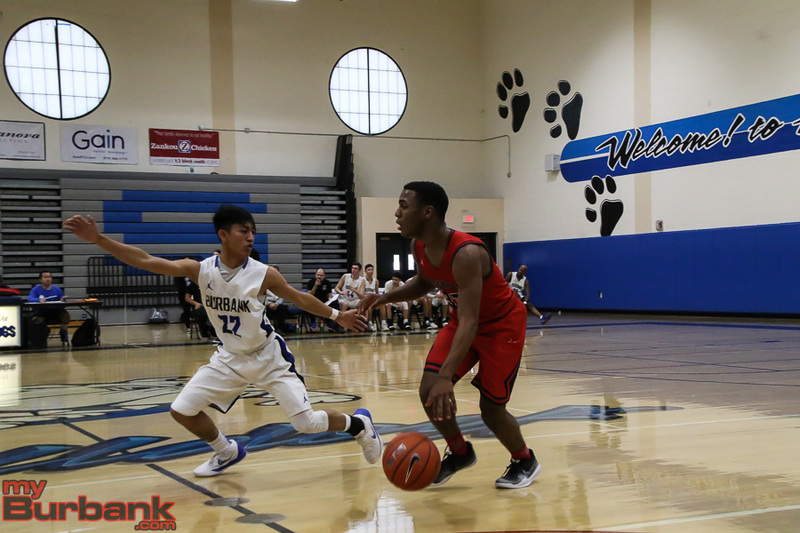 “I’ve been watching him the whole time I’ve been working with him. 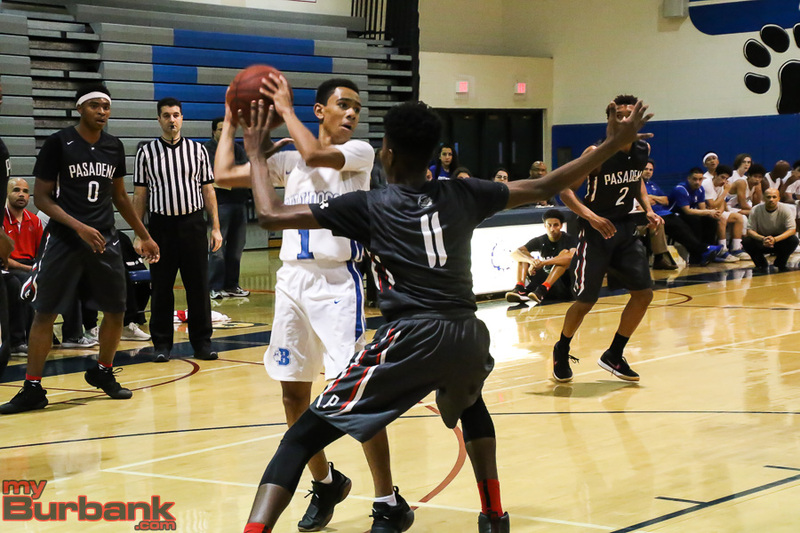 He’s ready for a breakout season,” Baskerville said of D’Agostin, who played at the junior varsity level last year. 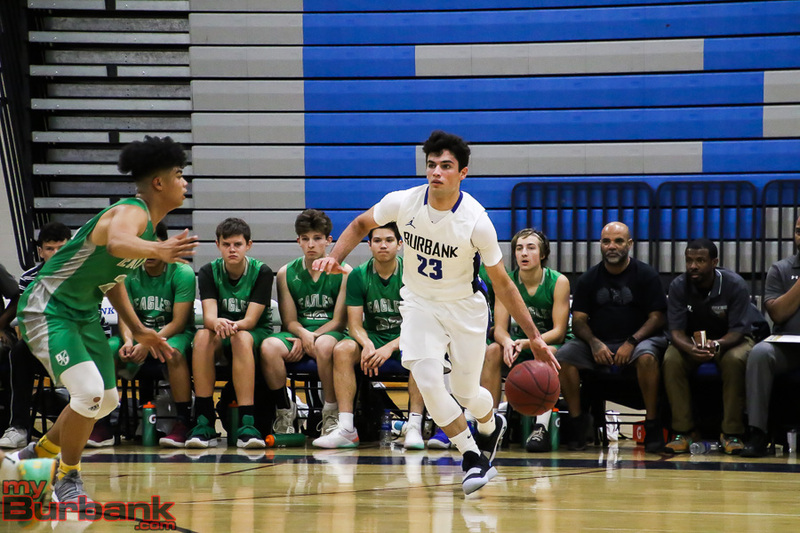 D’Agostin, who is the nephew of former Burbank girls’ basketball coach John D’Agostin, said he has enjoyed his short time with Baskerville. 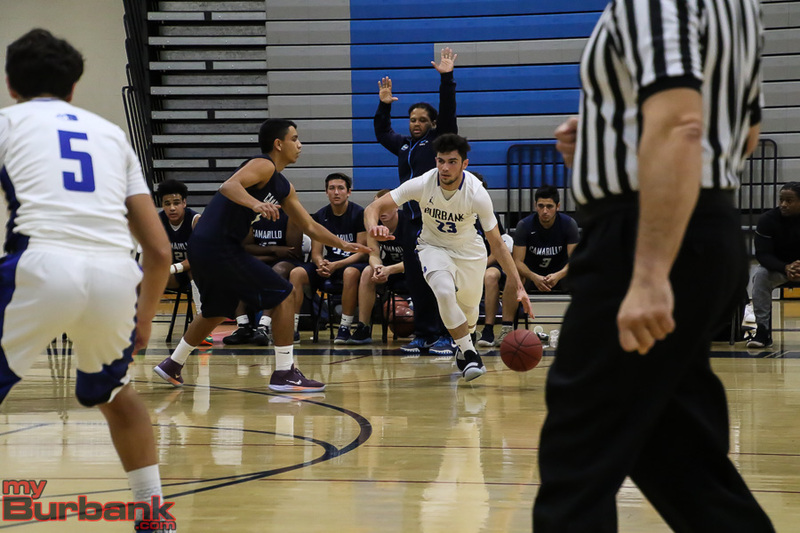 “He just tells me to shoot, so I feel comfortable that he’s not going to get mad if I miss shots. 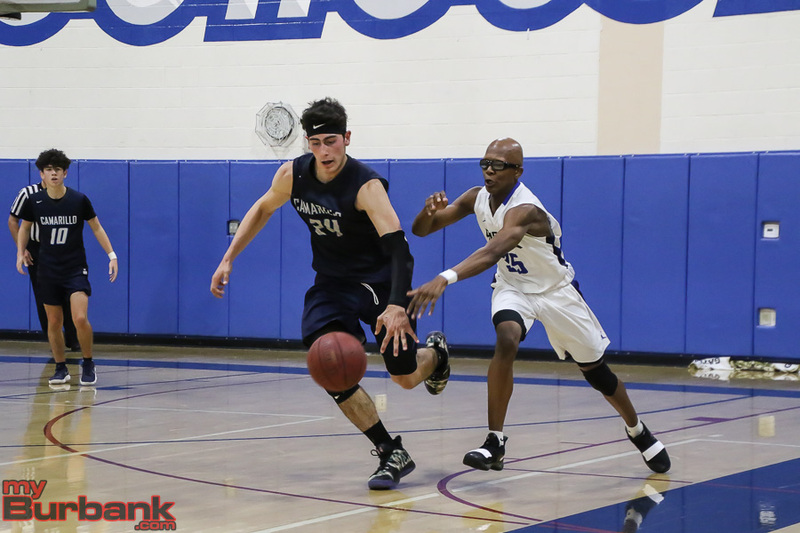 He just tells me to be myself,” D’Agostin said. 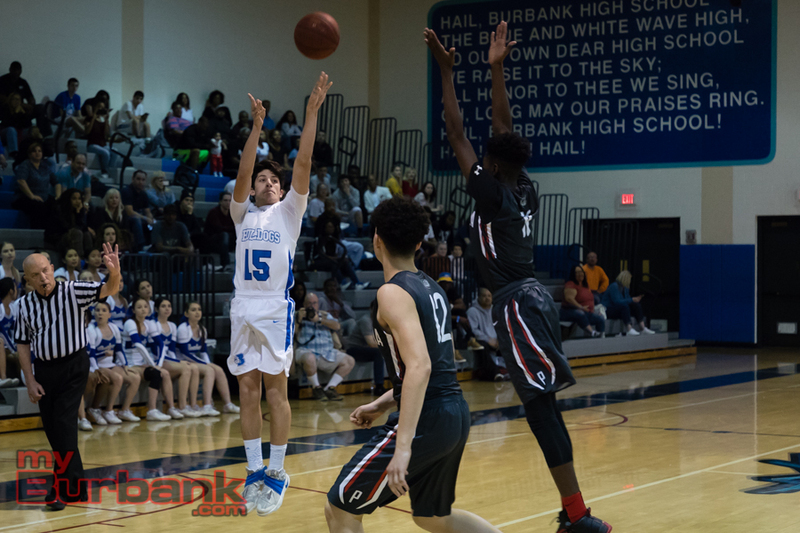 Burbank never trailed in the contest but was never in full command until the fourth quarter. 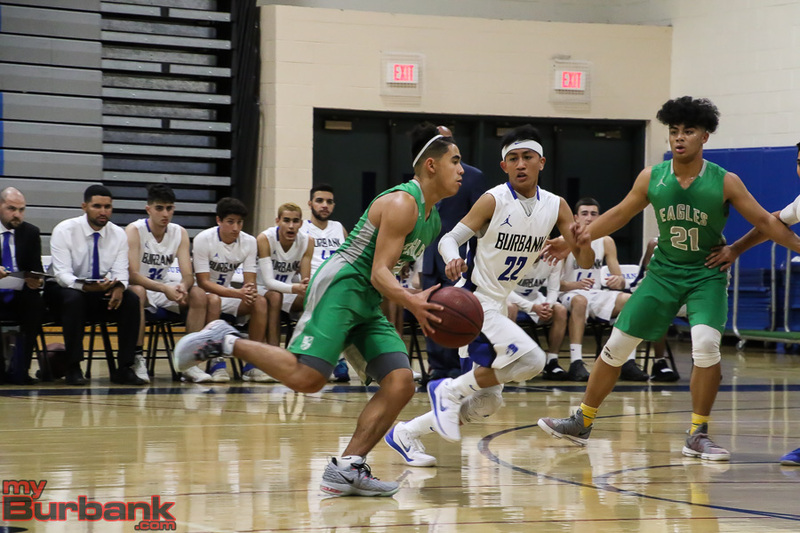 After leading 21-18 at the end of the first quarter and 40-32 at halftime, Eagle Rock made things interesting in the third quarter, getting as close as 59-54 with less than a minute to play before the final quarter. 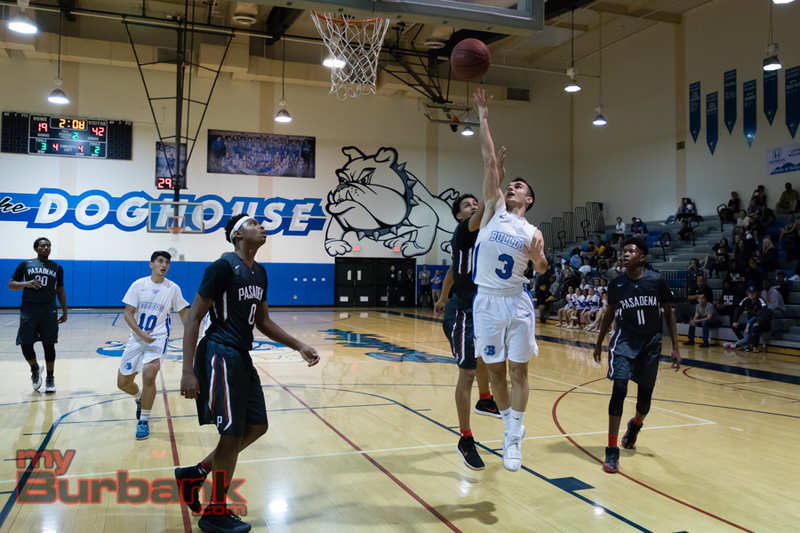 Burbank got a key three-point basket from Guram Dumbadze with two seconds left in the quarter to give the Bulldogs a 62-54 cushion heading into the final quarter. 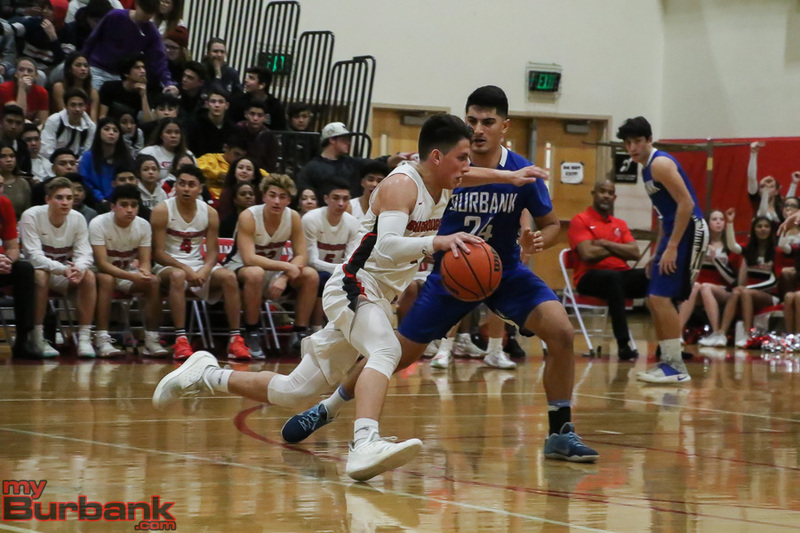 In the fourth quarter, it was all Bulldogs, as Burbank limited Eagle Rockstar Mitchell Gravino Jr. to just four points in the fourth quarter. Gravino finished with a game-high 30 points. 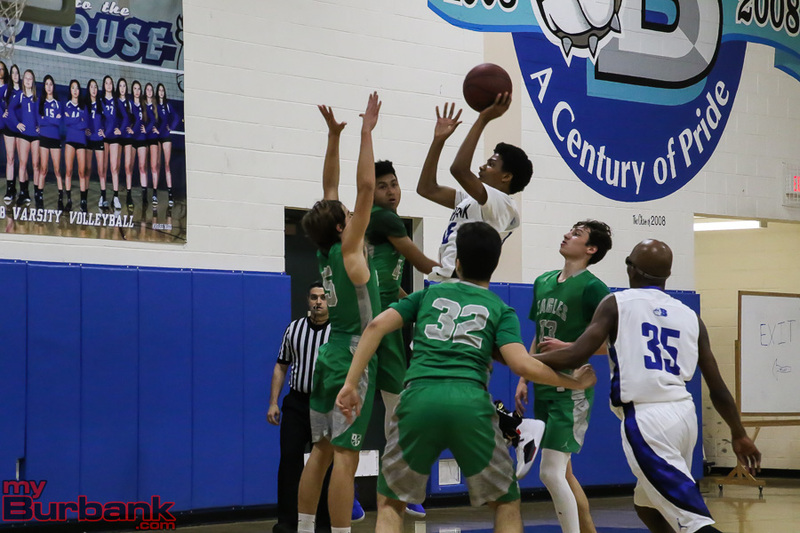 Abiel Pearl, who finished with nine points, hit two key three-pointers in the final quarter. 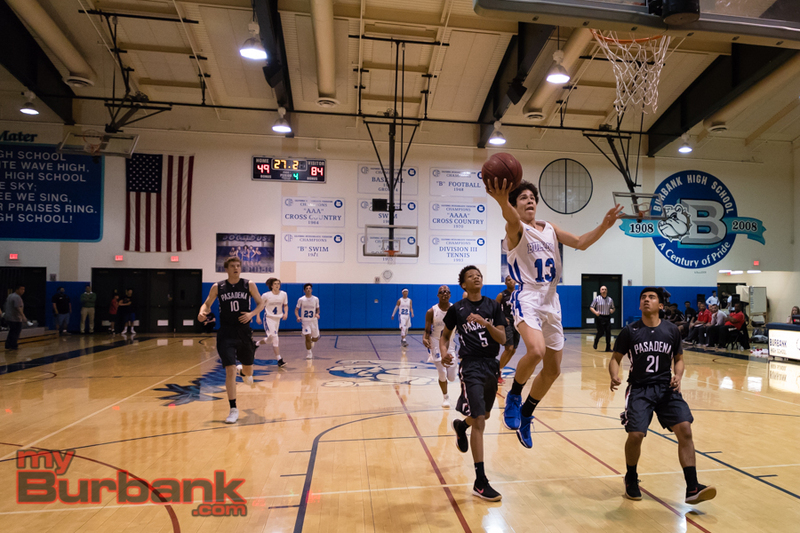 Leo Tahmasian had 13 points for Burbank. 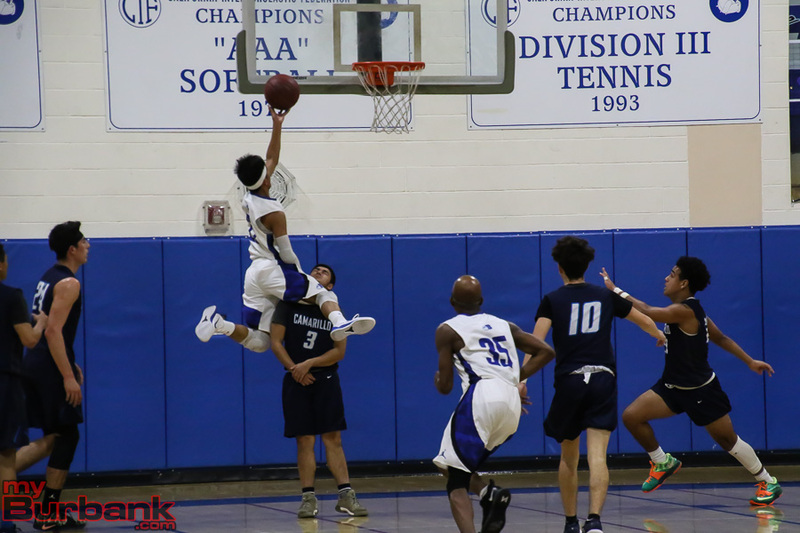 Issac Anglade and Jared Pasion each had nine points. 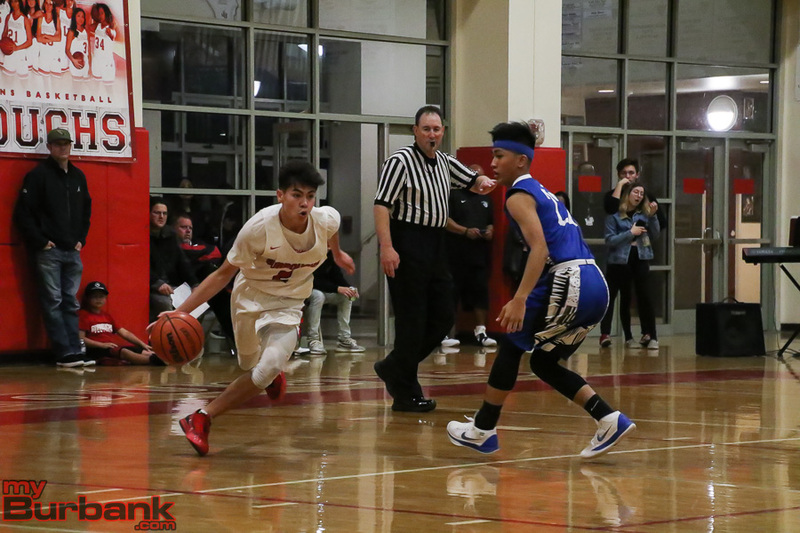 Angel Ibarra and Jalen Clark each had six points. 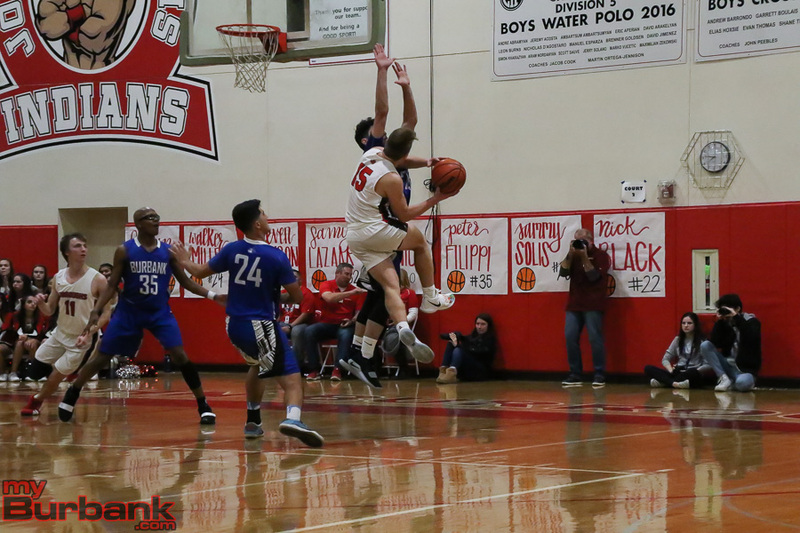 Dumbadze had five points. 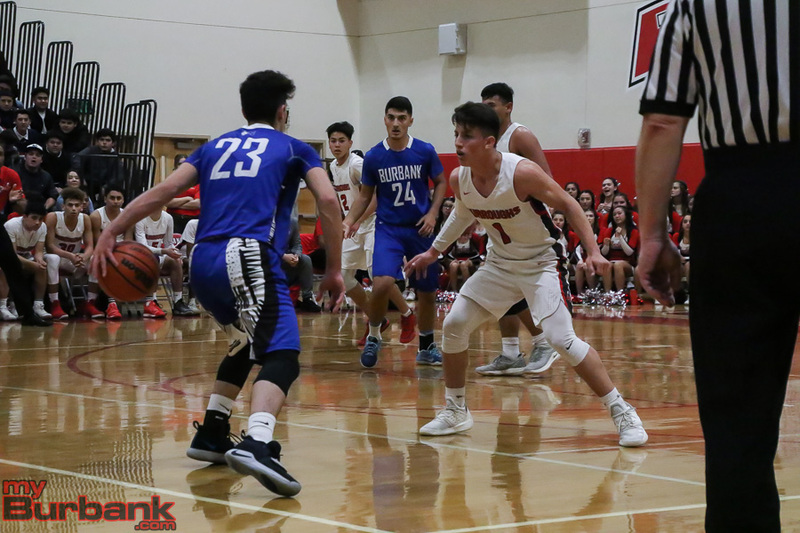 Erik Harutyunyan had three points and Ben Burnham had one point. 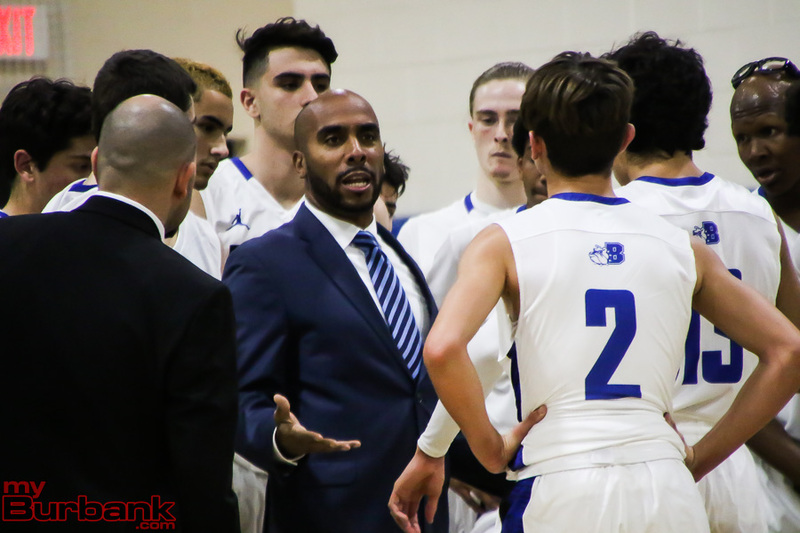 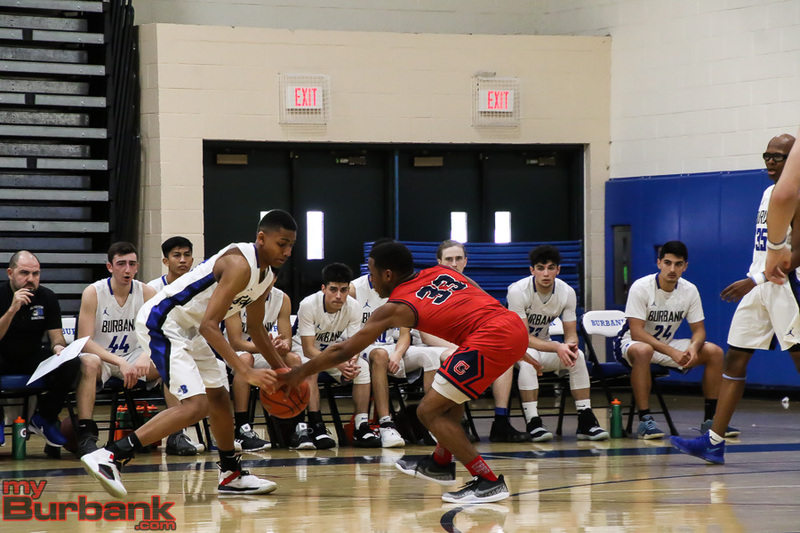 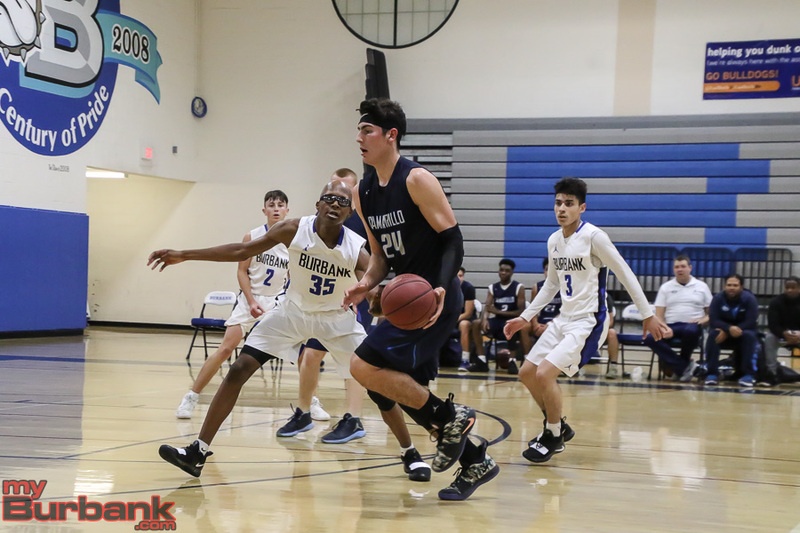 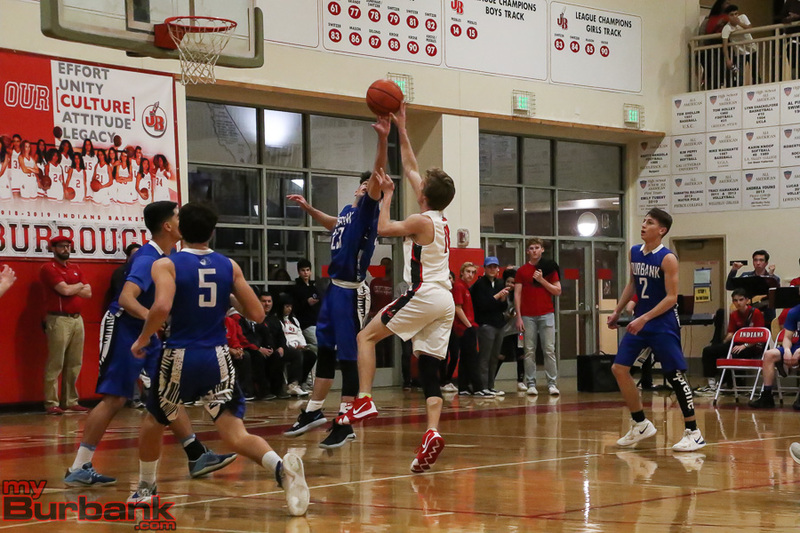 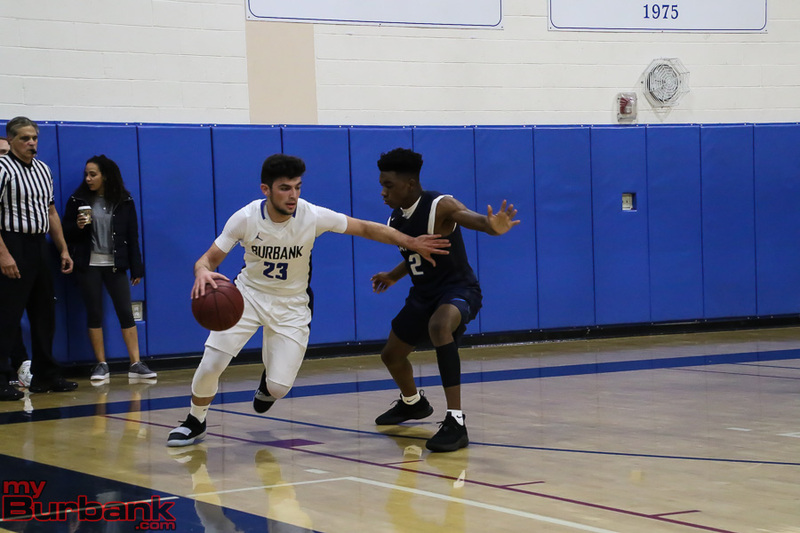 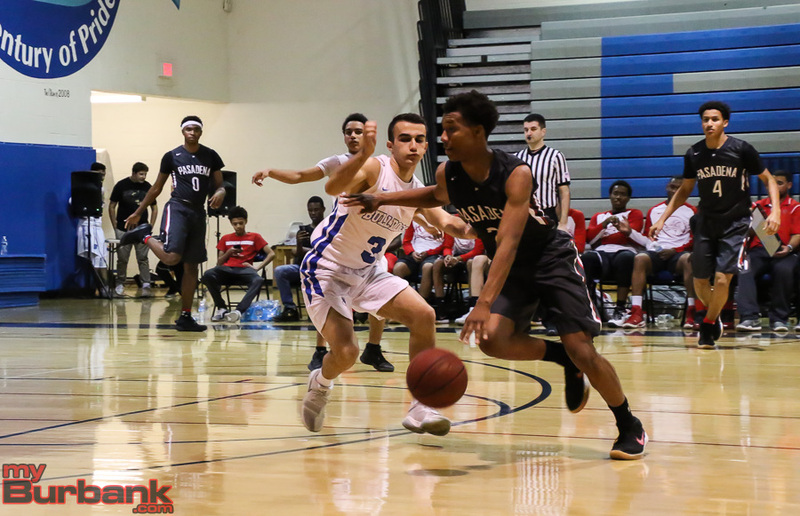 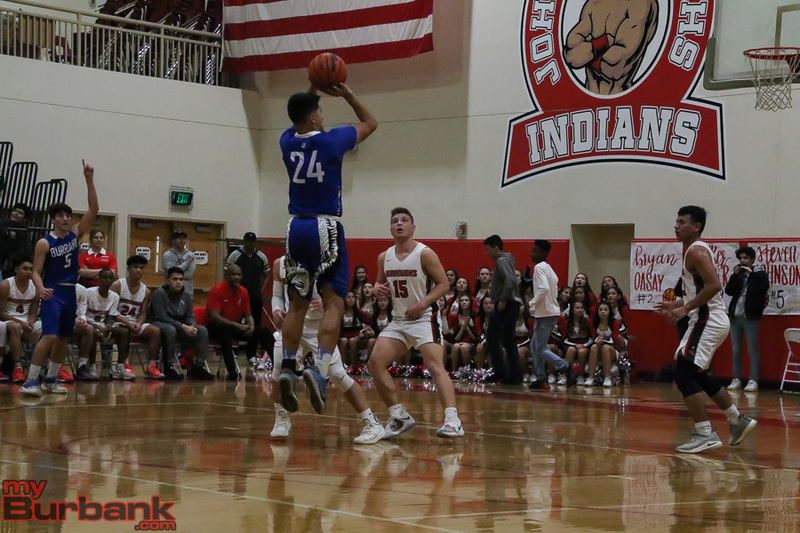 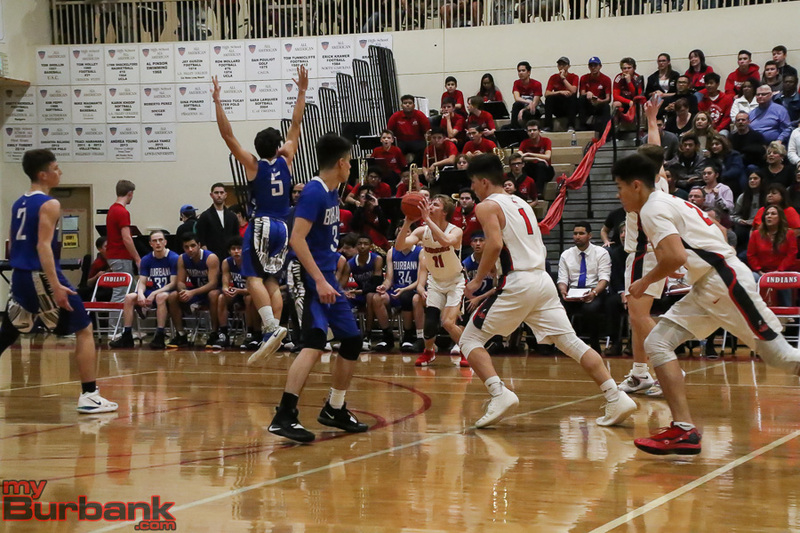 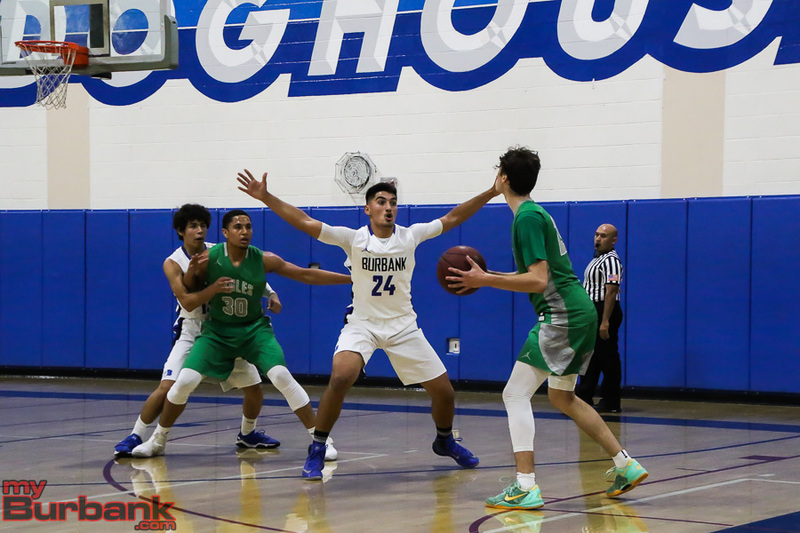 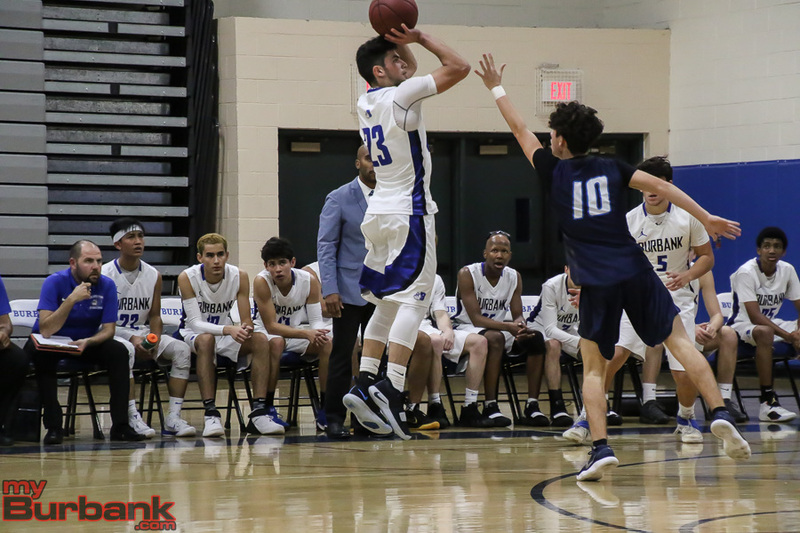 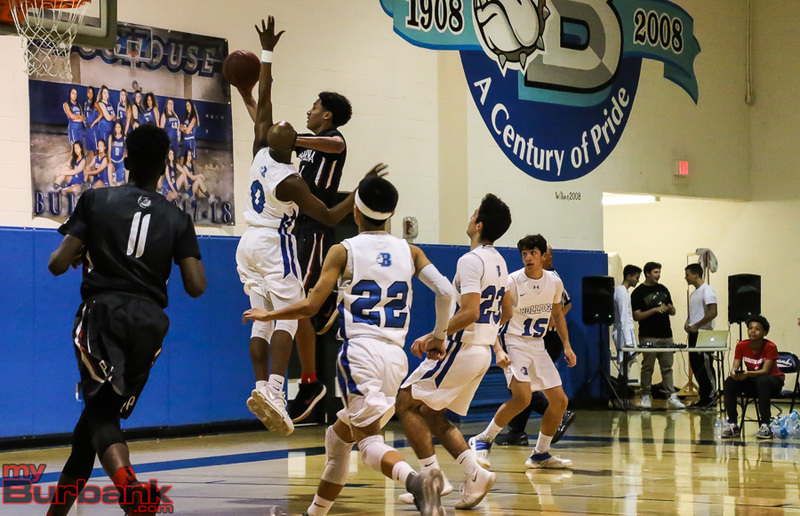 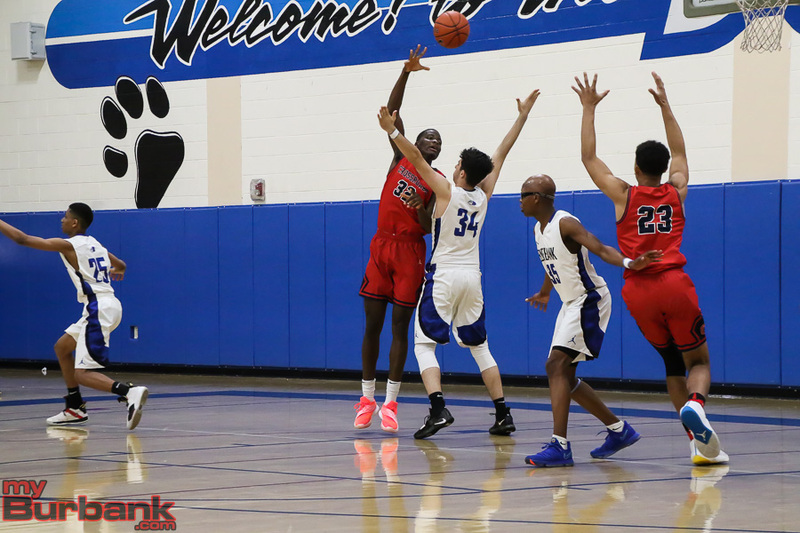 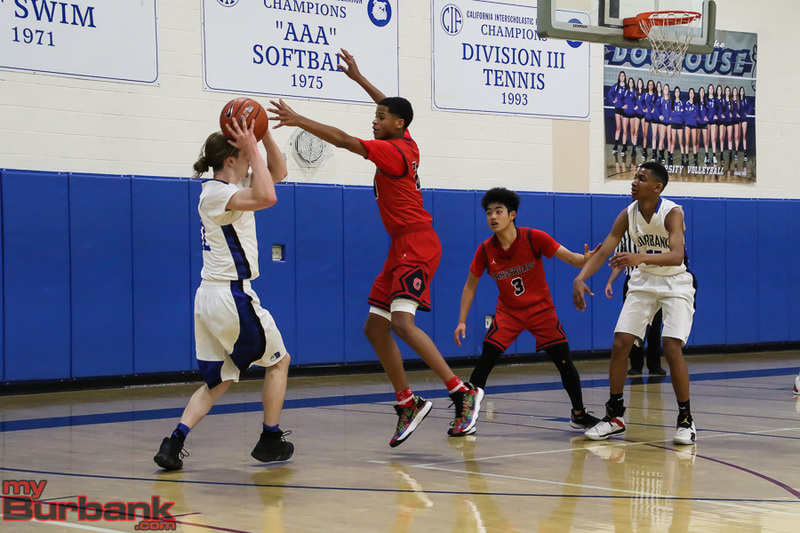 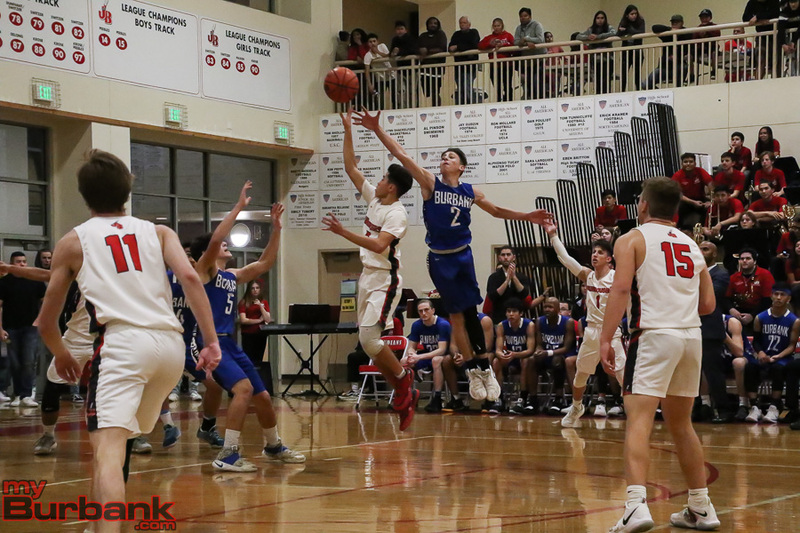 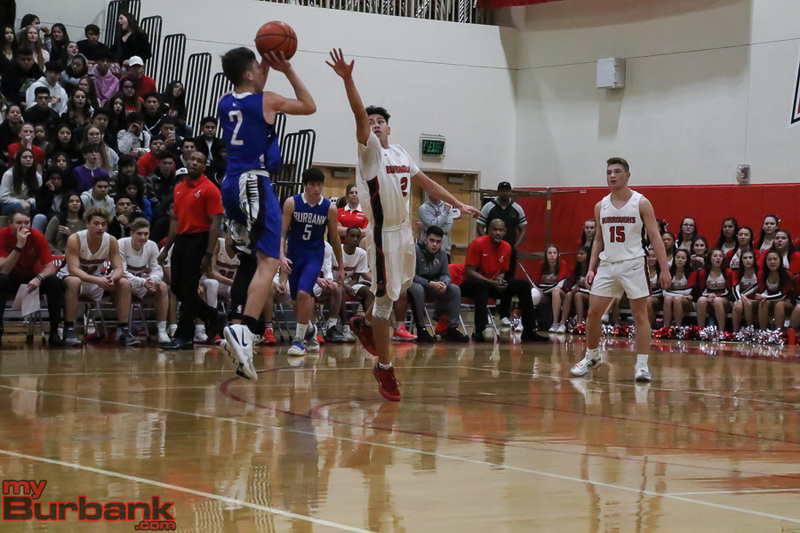 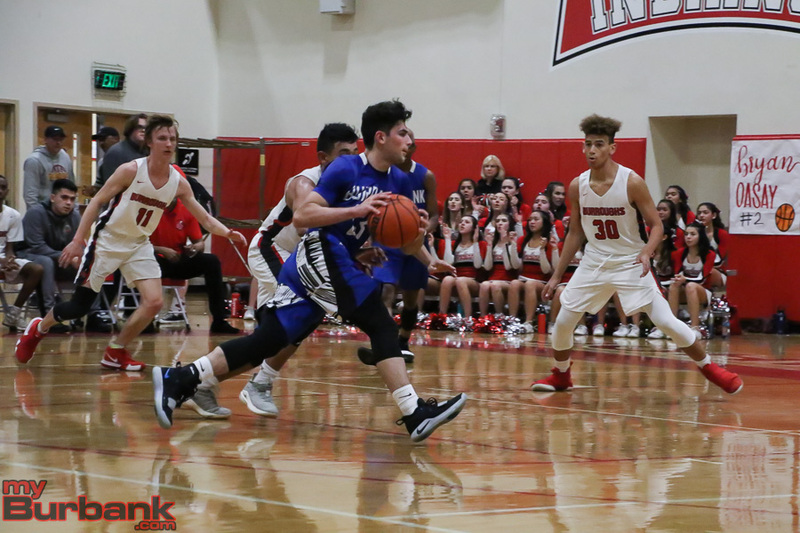 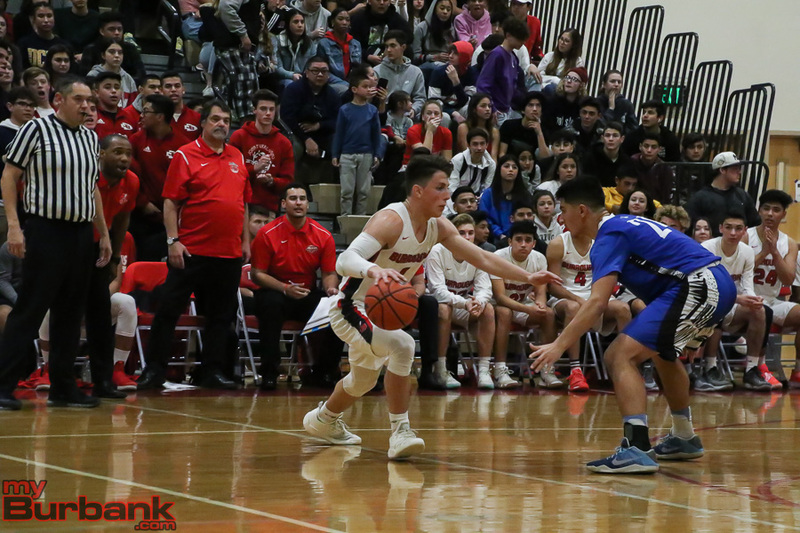 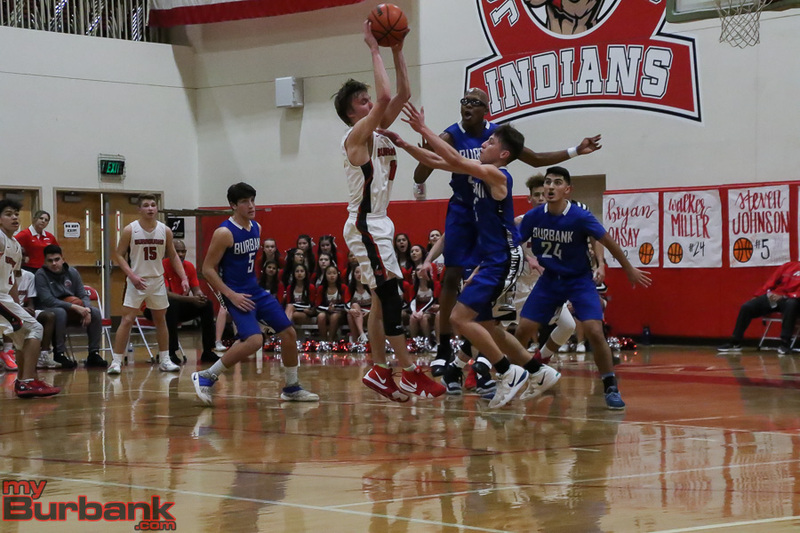 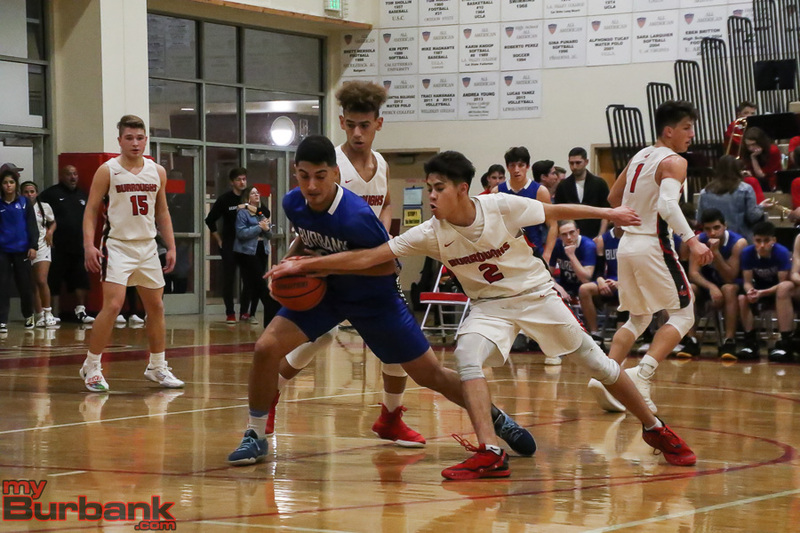 This entry was posted in Boys Basketball, Sports and tagged Abiel Pearl, Angel Ibarra, Ben Burnham, Burbank boys basketball, Erik Harutyunyan, Guram Dumbadze, Issac Anglade, Jalen Clark, Jared Pasion, Leo Tahmasian, Miles D'Agostin on November 20, 2018 by Jim Riggio. 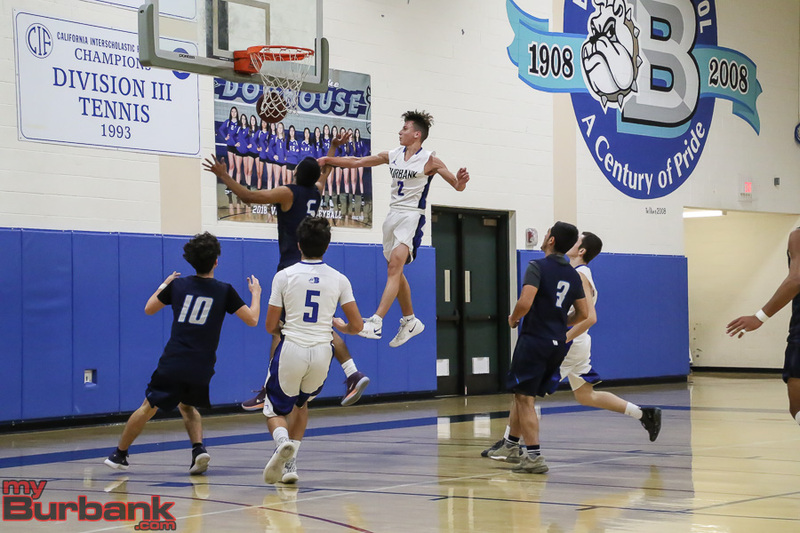 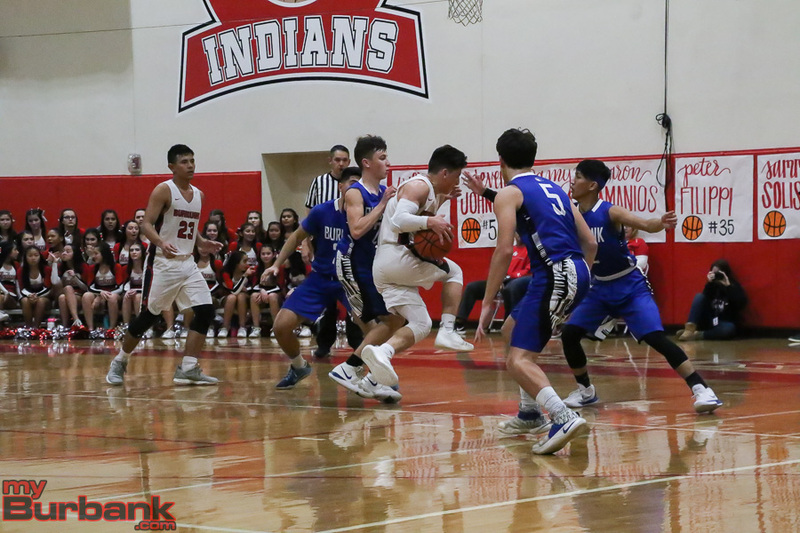 With the CIF Southern Section playoffs, just two weeks away the Burbank High boys’ basketball team got to experience a playoff-like scenario Monday when visiting Pasadena High visited in a Pacific League contest. 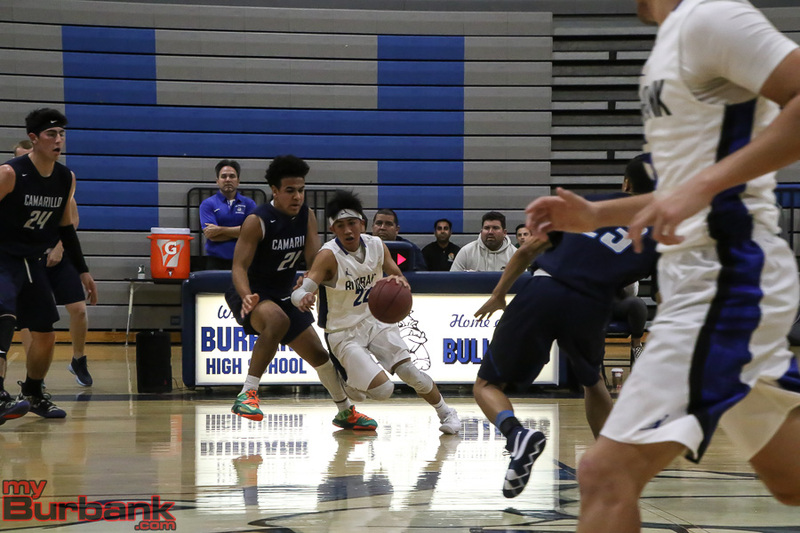 Facing a full-court press and an opponent that moves the ball very quickly, Burbank fell 84-51. 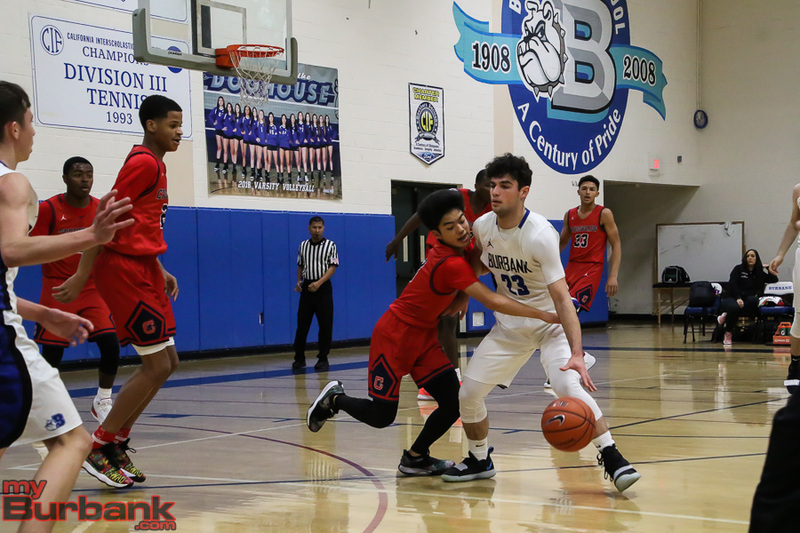 When Burbank (15-8, 5-5) was able to break Pasadena’s press in the first half, junior Erik Harutyunyan was the player who got the ball in the open court. 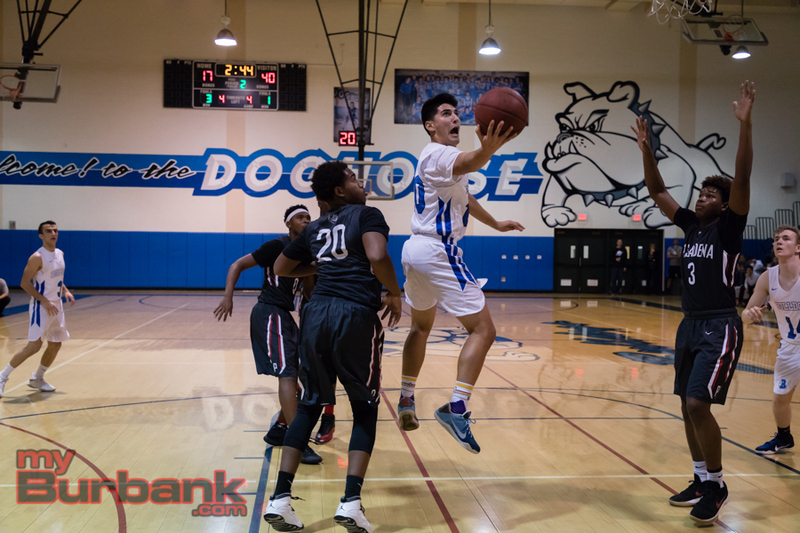 He scored 17 of Burbank’s 26 first-half points. 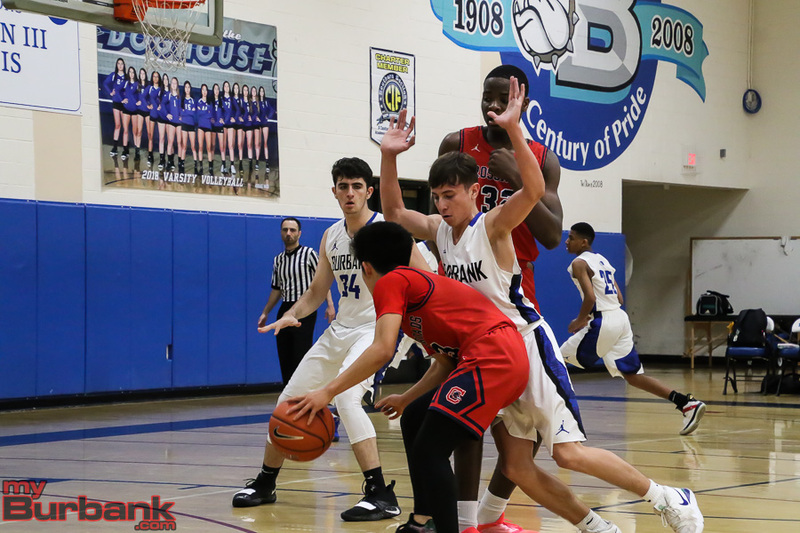 On the defensive end, Harutyunyan had the task of trying to guard Pasadena’s Bryce Hamilton, who is one of the top players in the nation. 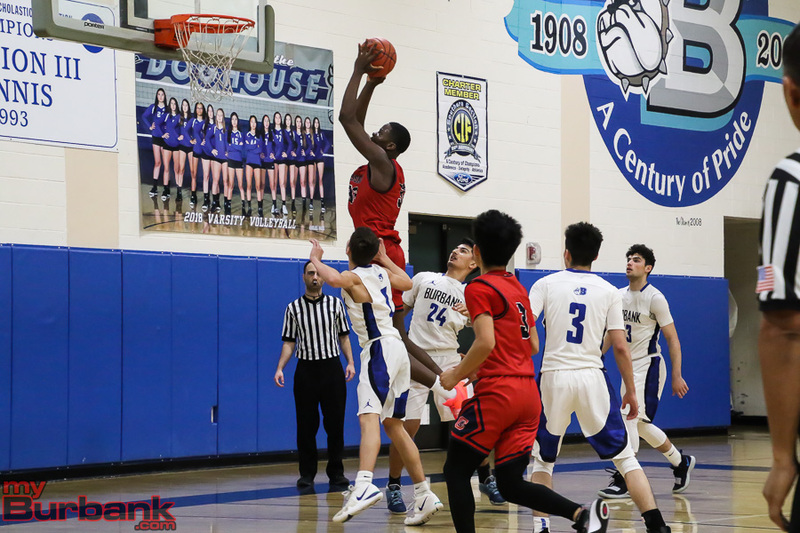 Hamilton has signed with the University of Nevada, Las Vegas. 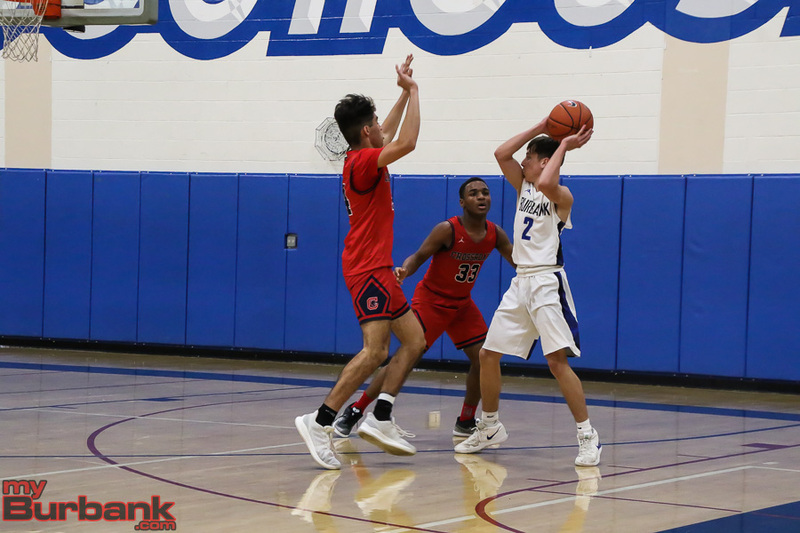 Hamilton, who finished with 20 points, played sparingly in the third quarter and did not play at all for the fourth quarter. 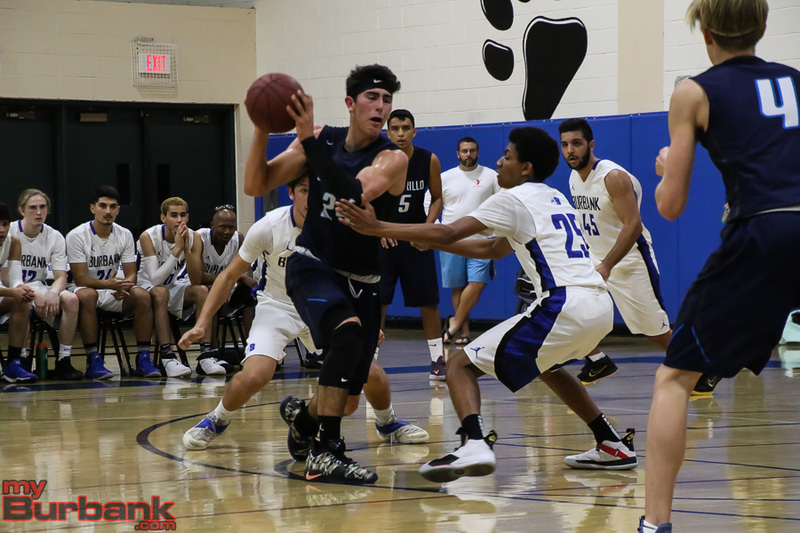 He said his team (16-6, 9-1) benefitted from overcoming a loss in the league opener to Crescenta Valley. 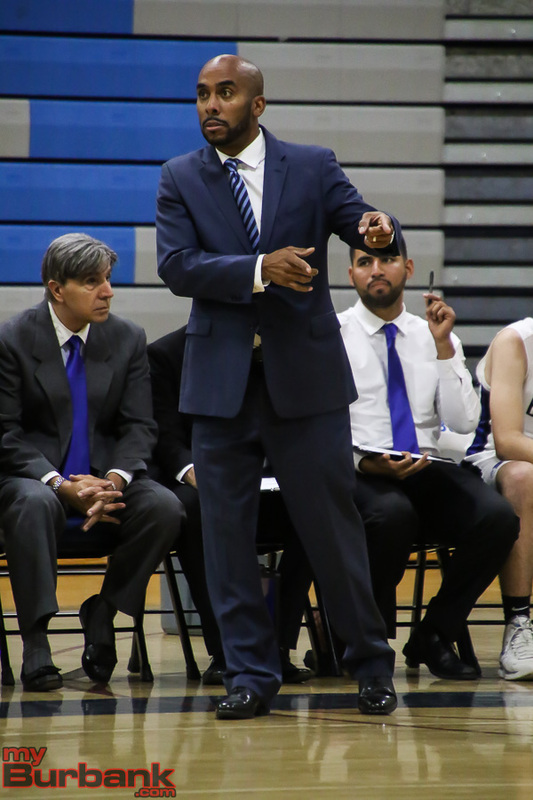 “That game made us come out hungrier and not to take any team lightly,” Hamilton said. 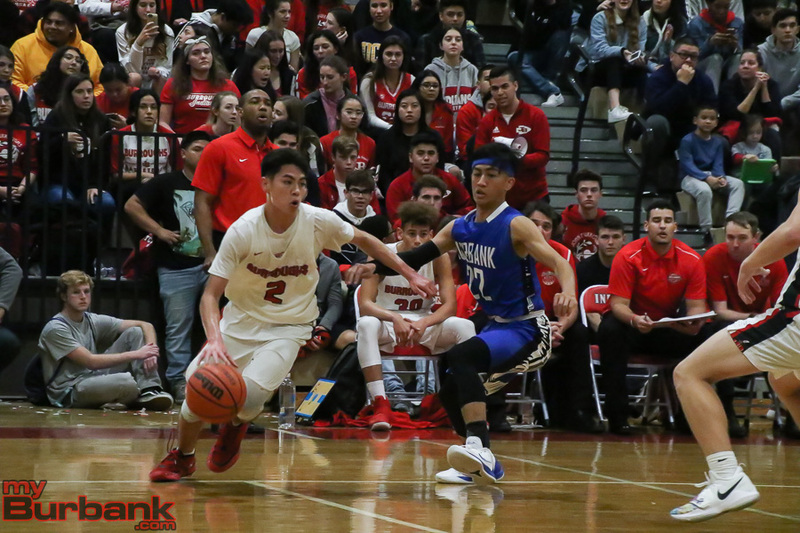 Burbank trailed 24-11 at the end of the first quarter and 44-26 at halftime. 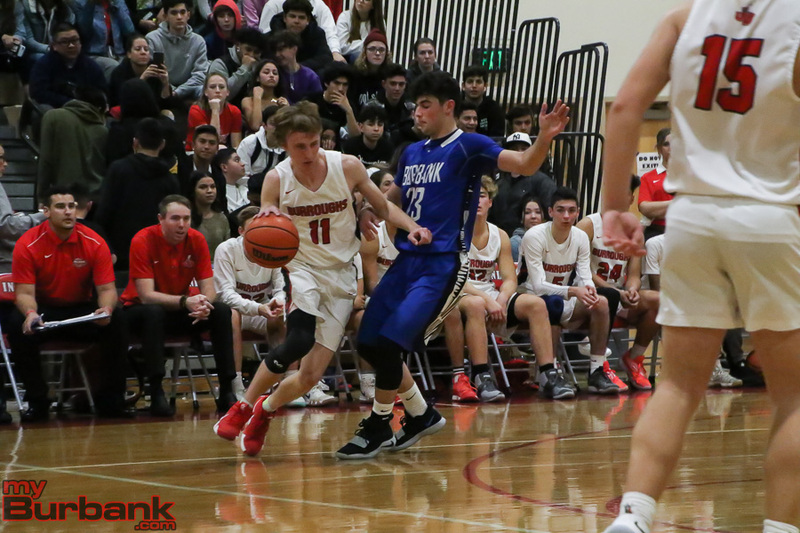 Pasadena went on to lead 71-39 going into the fourth quarter. 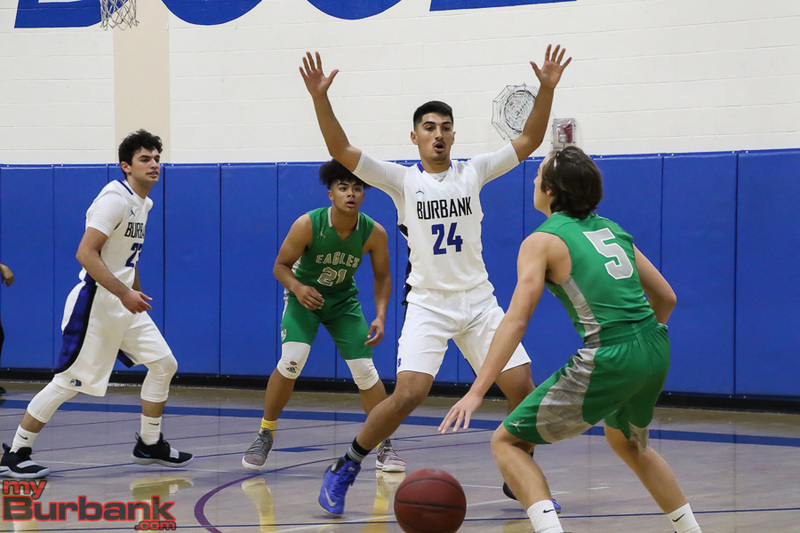 Burbank got seven points from Jared Pasion, and five each from Xavier Davis, Justin De Sales and Sevak Mkrtchyan. 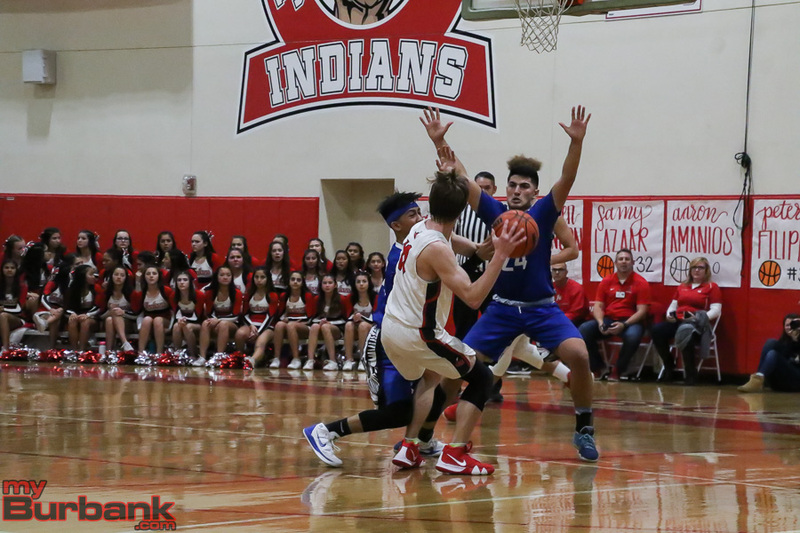 Chance Van Hook and Angel Ibarra each had four points. 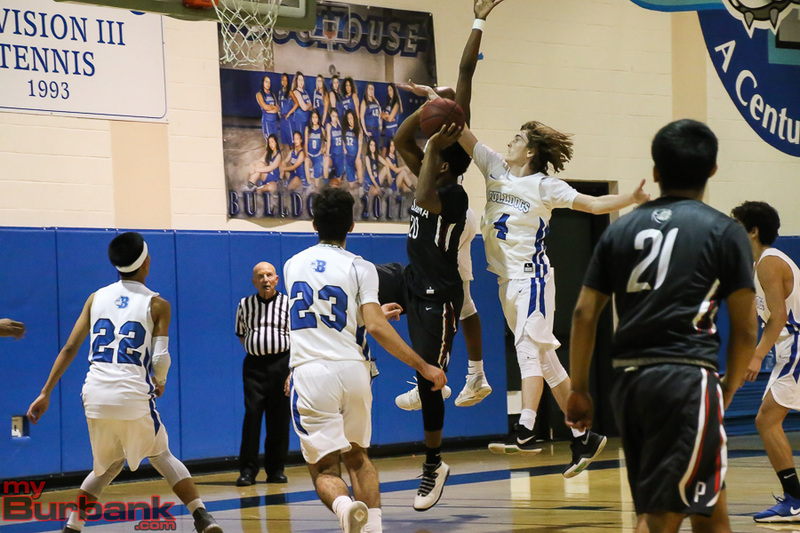 Tyrese Willis and Jalen Clark each had two points. 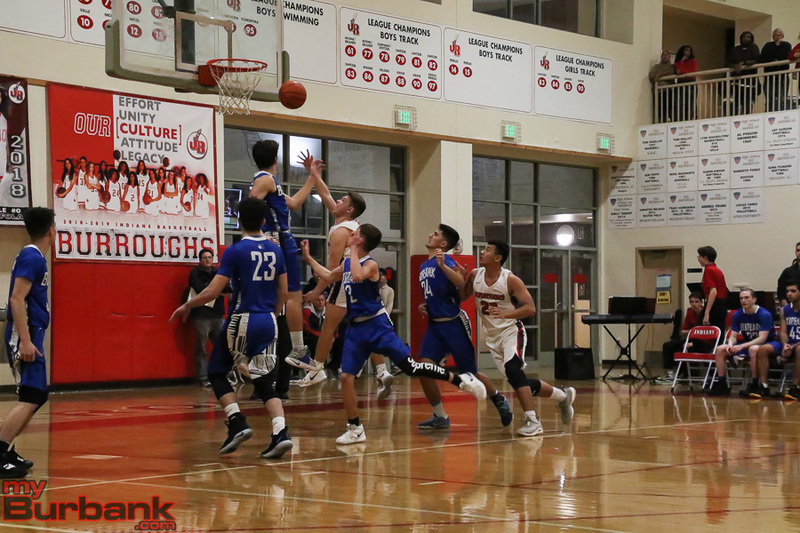 This entry was posted in Boys Basketball, Sports and tagged Angel Ibarra, Bryce Hamilton, Burbank boys basketball, Chance Van Hook, Erik Harutyunyan, Jalen Clark, Jared Pasion, Justin De Sales, Sevak Mkrtchyan, Tyrese Willis, Xavier Davis on January 30, 2018 by Jim Riggio.